Below please find a list of our aesthetic services. CoolSculpting is an FDA-cleared fat-freezing procedure that provides non-surgical fat-reduction to remove stubborn fat that is resistant to diet and exercise. CoolSculpting technology safely delivers precisely controlled cooling to gently and effectively target the fat cells underneath the skin, while leaving the skin itself unaffected. It involves no surgery, no anesthesia, no needles, and little to no downtime. Results from CoolSculpting can have long-lasting results; however, it is important to maintain healthy diet and exercise habits to keep the results. Fat cells that are removed will not grow back, but existing fat cells can expand causing new volume to return to the treated areas. Knott Street Dermatology now has the ability to use two CoolSculpting machines at the same time. Instead of treating love handles in 2 hours, both sides of the love handles can be treated in just 1 hour. The ability to use 2 machines simultaneously decreases treatment time and allows for results to be obtained in fewer sessions. The Sciton company provides advanced lasers and light sources to medical practices with decades of proven history. Sciton offers several products to address common skin issues. Broadband Light (BBL) delivers light energy that gently heats the upper layers of the skin. The targeted skin areas absorb heat, which stimulates the regeneration of new skin cells. BBL energy can treat age and sun spots, small facial veins, and many other skin conditions. A provider can tailor a treatment plan to match your skin type and desired results. Forever Young BBL is an innovative technology that uniquely delivers light therapy that targets the signs of aging and sun damage and effectively provides a more refreshed, rejuvenated, and youthful appearance. Forever Young BBL treats a wide variety of conditions, such as age spots, freckles, redness, and small blood vessels (broken capillaries). stimulate and regenerate inflamed skin cells. reduce inflammation and acne-associated redness. For added benefit, the skin is then treated with SkinTyte II™ using INFRA-RED light in rapid, gentle pulses to initiate the body’s natural healing process. effectively treat most skin types. SkinTyte offers fast, safe, and effective skin tightening treatments tailored for all skin types. SkinTyte heats the tissue to produce tightening of the skin with no downtime. Patients may resume their regular activities immediately following treatment. SkinTyte can predictably, effectively, and comfortably treat any area of the body where skin tightening is desired and is safe for all skin types. The HALO is the first in its class of fractional lasers to provide hybrid fractional laser (HFL) technology to produce targeted, reproducible, and effective results that improve the appearance of skin conditions, such as wrinkles, discoloration, scars, and laxity. The HALO hybrid fractional laser combines ablative (destruction of tissue by vaporization) and non-ablative wavelengths delivered to the same microscopic treatment zone to maximize clinical results and minimize downtime. HALO treatments are safe and effective. Microneedling is a minimally invasive technique that stimulates collagen and can improve the appearance of scars. The practice of microneedling dates back to 1995 but has gained popularity in recent years with new technology. Microneedling is the insertion of very fine, short needles into the skin via an electric pen device for the purpose of rejuvenating the skin. The punctures are like tiny pin-pricks that only enter the upper layers of the skin. According to a 2008 study, skin treated with four microneedling sessions spaced one month apart produced up to a 400% increase in collagen and elastin six months after completing treatment. Chemical peels are used to address such problems as acne, oily skin, sun spots, blotchy pigmentation, aging skin, melasma, and wrinkles. The formulas contain purified ingredients, such as Alpha Hydroxy Acids, Beta Hydroxy Acids, and antioxidants that work at the molecular level to exfoliate dead skin cells and promote healthy cell growth. Special brands containing only the purest, non-irritating ingredients are used and are safe to repeat as needed for all skin tones and types. Botox® Cosmetic (onabotulinumtoxinA) is FDA approved to treat dynamic lines (those that move with facial expression) above and between the eyebrows, forehead, and crows feet in patients between the ages of 18 to 65 years. It will soften, but may not completely remove fixed lines (those present on an expressionless face). Botox is injected into selected muscle groups to minimize facial wrinkles and usually lasts about 3 to 4 months. Dermal fillers are FDA-approved and used for the cosmetic treatment of fine facial lines, wrinkles, and folds. Dermal fillers are composed of hyaluronic acid, a naturally occurring substance found in every living cell. Fillers contain synthetic gel forms of hyaluronic acid derived from non-animal sources and are highly compatible with the body. When the gel is injected, it acts like an inflated cushion to support facial structures and tissues that may have lost volume or elasticity with normal aging. Hyaluronic acid also brings water to the surface of the skin to keep it looking fresh and supple. The gel is injected into the skin through a fine-gauge needle at the site of unwanted lines and wrinkles. Hyaluronic acid fillers can last up to 18-24 months or longer. Like any cosmetic procedure, there is no guarantee of complete satisfaction, or that wrinkles and folds will disappear completely. Additional treatments may be required to achieve desired results, and visible outcomes will vary per patient. To maintain the desired effect, subsequent injections may be required within 6 months to 1 year. Sculptra is an injectable dermal filler that has been on the market since 1999. In 2014, the FDA approved Sculptra Aesthetic for treating wrinkles and folds on the face to give a more youthfulappearance. The main ingredient in Sculptra is poly-L-lactic acid (PLLA), a biocompatible synthetic substance that stimulates collagen production. It can be used to treat deep lines, creases, and folds and can be used to restore facial volume lost due to aging or illness. Sclerotherapy is a medical procedure used to treat broken capillaries of the legs commonly called “spider veins.” A chemical solution is injected directly into the affected blood vessel causing irritation of the lining, which in turn causes the vessel to swell and coagulate. Over time, the coagulated vessel is reabsorbed by the body and disappears. Sclerotherapy is a well-proven procedure that has been performed since the 1930s. Revision Skincare is a line of medicated skin care products that are designed to tone, exfoliate, cleanse, and correct skin problems, such as age or sun spots, and prevent further damage from taking place. 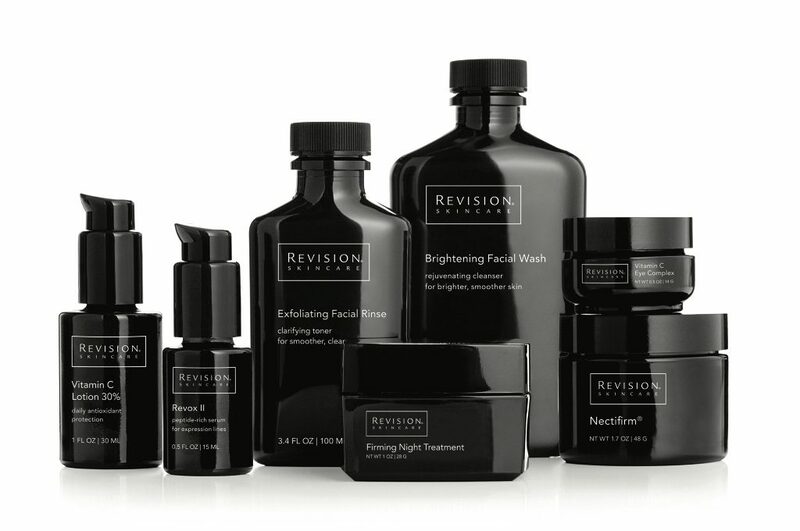 Revision Skincare has been on the market for approximately 25 years and employs its own research and development team to create new products. Revision Skincare products alcohol free and paraben free and contain natural ingredients, including beeswax, aloe, avocado, brown algae, and bamboo. The products also contain acetyl hexapeptide-8, which is an amino acid that has been found to boost the production of collagen to tighten the skin, address uneven skin tone, and fill in fine lines and wrinkles. Revision Skincare products are both effective and non-irritating and are individually designed for different areas of the body, such as the face, neck, and hands. The products can address a variety of skin types, such as dry, oily, and sensitive skin. The company’s research and development team continually seeks new ways to create more effective formulas, and follow ethical practices with no animal testing. increase the skin’s ability to hold moisture; and increase the skin’s tolerance to external factors. 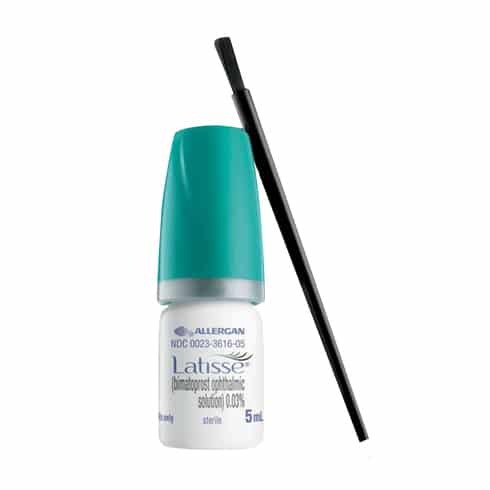 Latisse (bimatoprost ophthalmic solution 0.03%) is the first FDA-approved, science-based treatment for eyelash thinning that can increase length, thickness, and darkness. Latisse users can expect to experience longer, fuller, and darker eyelashes in as little as 8 weeks, with full results in about 16 weeks. Continued treatment with Latisse is required to maintain the effect. If discontinued, eyelashes will gradually return to where they were prior to treatment over a period of weeks or months (an average eyelash hair cycle). Skin tags are small flaps of tissue that hang off the skin by a connecting stalk. They are usually found on the neck, chest, back, armpits, under the breasts, or in the groin area. Skin tags appear most often in women, especially with weight gain, and in elderly people. Skin tags are not dangerous and usually don’t cause pain. However, they can become irritated if clothing, jewelry, or other body parts repeatedly rub against them. A provider can remove a skin tag by preparing the skin with a local anesthetic and cutting it with surgical scissors or a scalpel. Other methods for skin tag removal are cryosurgery (freezing with an extremely cold liquid nitrogen spray), or electrocautery (heating with an electric current delivered by a tiny probe). Skin tag removal is usually not considered to be medically necessary and is typically not covered by insurance. Cherry angiomas, or hemangiomas, are red papules on the skin. They are harmless (benign) lesions containing an abnormal cluster of blood vessels and have no relationship to cancer. They are often bright red, circular or oval in shape, and are small—usually ranging in size from a pinpoint to about 1/4 of an inch in diameter. Some cherry angiomas appear smooth and even with the skin, while others are slightly raised. They most often grow on the torso, arms, legs, and shoulders. Bleeding can occur if the angioma is scratched, rubbed, or cut open. Most cherry angiomas don’t need to be treated, unless they are located in areas that are easily bumped and can lead to regular bleeding. Options for cosmetic angioma removal that are typically not covered by insurance include: electrocautery (heating with an electric current delivered by a tiny probe), cryosurgery (freezing with an extremely cold liquid nitrogen spray), laser treatment with a concentrated yellow light, and shave excision (cutting out the lesion and closing the wound with stitches). Moles, medically known as nevi, are clusters of pigmented cells that appear as small, dark spots on the skin, and can vary greatly in size and color. Moles typically appear on the face, arms, legs, and torso, but can develop anywhere on the body. A dermatology provider can determine whether a mole is abnormal or benign (harmless). Some patients opt to have benign moles removed for cosmetic reasons, which is typically not covered by insurance. The different methods for cosmetic mole removal include: (1) shave excision for moles that are raised above the skin, involving application of a local anesthetic to the area surrounding the mole, and then a small blade used to shave down the surface of the mole so that it is flush with the surrounding skin; (2) punch biopsy for smaller skin moles, involving use of a special device to “punch out”; a cylinder-shaped piece of skin and then the wound is closed with stitches; or (3) excisional surgery for moles that are flat, involving the mole to be cut out entirely and the wound is closed with stitches. enlarged sweat glands in the axillary areas (armpits), it temporarily inhibits the sweat glands from producing excess sweat. Response is usually seen within 7 to 10 days after injections, and several sessions may be needed to complete the series and achieve the best results. 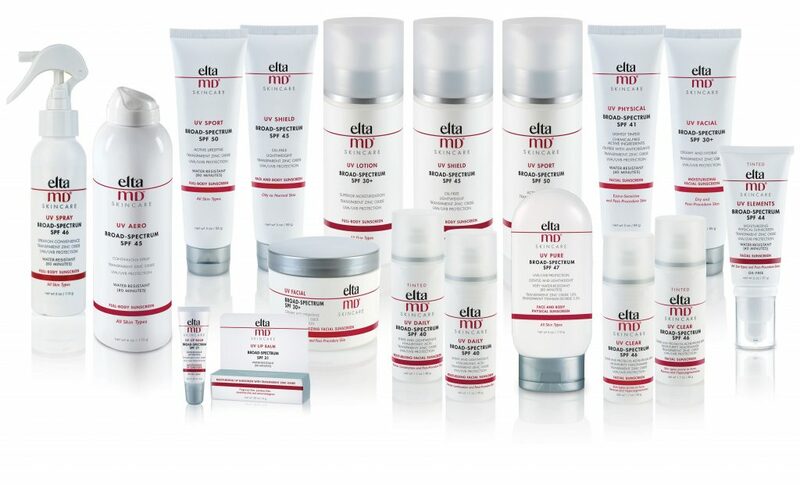 Knott Street Dermatology features professional-grade product lines. A variety of formulas can be recommended for your specific skin care and sun protection needs. Revision Skincare is a line of medicated skin care products that are designed to tone, exfoliate, cleanse, and correct skin problems, such as age or sun spots, and prevent further damage from taking place. Revision Skincare has been on the market for approximately 25 years and employs its own research and development team to create new products. Revision Skincare products are alcohol free and paraben free and contain natural ingredients, including beeswax, aloe, avocado, brown algae, and bamboo. The products also contain acetyl hexapeptide-8, which is an amino acid that has been found to boost the production of collagen to tighten the skin, address uneven skin tone, and fill in fine lines and wrinkles. Revision Skincare products are both effective and non-irritating and are individually designed for different areas of the body, such as the face, neck, and hands. The products can address a variety of skin types, such as dry, oily, and sensitive skin. The company’s research and development team continually seeks new ways to create more effective formulas, and followethical practices with no animal testing. 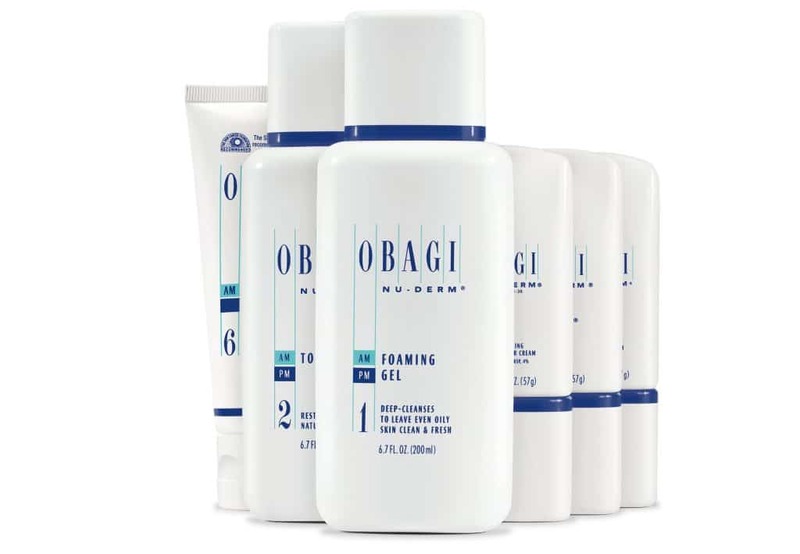 expert, created the Obagi Medical Products skincare line in 1988 to offer a wide range of anti-aging and rejuvenating skin care treatment regimens. The regimens work together to achieve a targeted goal using high-quality, potent ingredients and well researched technologies. The Obagi system specifically acts to: diminish the appearance of fine lines and wrinkles; increase smoothness; reduce pore size; improve elasticity; generate a balanced, even skin tone; normalize oil production; correct blemishes; reduce age spots and other hyperpigmentation; increase the skin’s ability to hold moisture; and increase the skin’s tolerance to external factors. EltaMD sunscreens help prevent sunburn, as well as decrease the risk of skin cancer and early skin aging caused by exposure to ultraviolet (UV) light, when used with other sun protection measures. EltaMD sunscreens are formulated with transparent zinc oxide and are non-comedogenic, sensitivity-free, fragrance-free, and paraben-free. All Elta MD sunscreen products were tested for phototoxicity and showed no adverse effects or unexpected reactions in test subjects.